Halloween is over. It was fun while it lasted but oh my gosh it lasted so long. I made the mistake of decorating way too early and had to commit to a full Halloween lifestyle for 31 full days. Do you know how time consuming it is to maintain an inflatable? I had to put our inflatable pumpkin reaper to bed every night by unplugging it, then wake it up every morning plugging it in, wiping the dew off so that it could stand up right, fluffing it up. I even had my first IRI: Inflatable Related Injury, when I sliced my foot on some slate spiffing it up for the day. Now that Halloween is over, t'is the season to give thanks. And I have so many things I am thankful for this year. 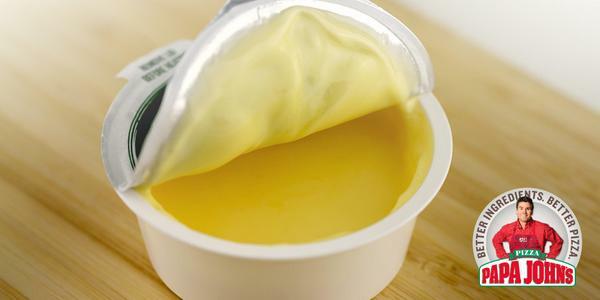 First, I am thankful for Papa John for serving his pizza with a cup of butter and making us feel like its ok to dip pizza in butter. Because I didn't even know it, but pizza actually does need a butter garlic dipping sauce. Secondly, I am thankful for Otter Box, without which I would literally have no phone. I drop it myself from time to time whilst carrying the personal belongings of 3 people everywhere I go. But mostly the protection is needed from Katie, who just recreationally hurls my phone across the room almost every day. I am also thankful for pimento cheese, for adding word pimento and letting us pretend that we aren't just eating cheese with mayonnaise added. Did you know that I used to hate celery, ham, mayonnaise, and the rye chips in Chex mix? Now I only hate celery. No wonder I am literally the exact average male or female that can log on to a cardio machine without changing the age and weight setting. Basic and proud. I am also thankful for my family and friends and Harris Teeter for being there for me for lightbulbs, diapers, wine, and sustenance. But mostly wine. And I know it's not the end of the year yet, but it has recently felt like the end of the world, so I'll share a few musings about 2017 while I got the ol' laptop out. I am officially declaring this as the year that people stopped caring about hair. They don't care about their short hair, their new hair, their kid's bed hair. #shorthairdontcare? Guess what? No one else does either. Also, people need to stop saying "And just like that.." when their kids turn a new age? Just like, that your kid turns 4? Are you freaking kidding me? The last 4 years have been the longest of my life. If your parenting experience is happening "just like that", you aren't spending enough time with your kids.